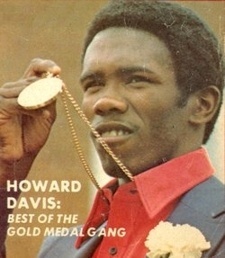 It has been reported that Howard Davis Jr., who captured lightweight gold at the 1976 Montreal Olympics, has tragically succumbed to his battle with lung cancer at the age of 59. His brother Kenny Davis confirmed the news to Kevin Iole of Yahoo Sports yesterday. Davis, who never smoked or consumed alcohol, was diagnosed with Type 4 lung cancer earlier this year and labelled the diagnosis a “death sentence”. He refused to give up on himself, however, and said simply that it was “fight time”. One of America’s best ever amateurs, Davis received the prestigious Val Barker trophy for most outstanding boxer of the ’76 games, despite the tournament showcasing the likes of Sugar Ray Leonard, Michael Spinks and Cuban legend Teofilo Stevenson. The Glen Cove, New York, native was tipped for huge success in the professional ranks but was unable to reach the lofty heights of his Olympic team mates. Davis did challenge for three world titles but dropped decisions to Jim Watt and Edwin Rosario at lightweight, before being stopped in one round by Buddy McGirt at junior welterweight. His best result on paper was arguably a draw with fellow Olympic gold medalist (from the 1984 Los Angeles games) Meldrick Taylor in August 1986. A sophisticated stylist with adept lateral movement and wonderful skills, Howard Davis’ contribution to the sport he loved will never be forgotten. His final career record was 36-6-1, 14 knockouts.